ASCB offers travel awards to undergraduate and graduate students, postdocs, underrepresented minorities, international graduate students and postdocs, junior faculty at primarily undergraduate institutions, and LGBTQ+ scientists, as well as grants for childcare assistance (see separate tab). You will be considered for all awards you are eligible to receive. The reviewers will judge all applications on the basis of financial need, science, and stage of career. Each applicant may only receive one travel award, plus childcare assistance, if applicable. All applicants must have first submitted an abstract for the meeting. You will be considered for all awards you are eligible for. The application contains questions about eligibility for those from ICGEB and EMBO countries, those holding H-1B, J1, or F1 visas, and LGBTQ+ scientists. You are not eligible to receive a travel award two years in a row, with the exception of underrepresented minorities, as these awards are funded by the National Institutes of Health and have grant-associated conditions. You will be judged on the basis of financial need, science, and stage of career. If an advisor letter of support is needed your advisor will be sent a URL through which he/she can directly upload a letter of recommendation. In your confirmation email you will receive a link that will enable you to change anything on your application or upload a new advisor letter if necessary until August 31, 2017. Deadline for submission, including any letters of support if required, is August 31, 2017. Each applicant may only receive one type of travel award, plus childcare assistance (separate application), if applicable. ASCB will waive the meeting registration fee instead of offering travel reimbursement to individuals at the National Institutes of Health who are selected to receive a travel award. Applicants will be notified in late September regarding the status of their travel award application. U.S. Undergraduate students – $300. (Requirements: abbreviated CV, advisor recommendation). Funding provided by Worthington Biochemical Corporation, Chroma Technology Corporation, and ASCB. U.S. Graduate students – $300. (Requirements: abbreviated CV, advisor recommendation). Funding provided by ASCB. U.S. Postdoctoral researchers – $300. (Requirements: abbreviated CV, advisor recommendation). Funding provided by Company of Biologists and ASCB. International graduate students and postdocs – up to $750. (Requirements: abbreviated CV, advisor recommendation). Funding provided by EMBO and ICGEB. Junior faculty at a primarily undergraduate institution in the U.S. – $400 (Requirements: abbreviated CV). Funding provided by Company of Biologists and ASCB. Underrepresented Minorities – up to $1,700. (Requirements: varies by career state). Funding provided by an NIH IPERT grant to the ASCB. LGBTQ+ scientists – Two awards, each up to $900. (Requirements: abbreviated CV). Funding provided by ASCB. H-1B, J1, or F1 visa holders – Six travel awards of $300 each. Applicants who are immigrants resident in the United States holding the appropriate visas will be able to indicate on the application if they are eligible. Funding provided by Getson & Schatz, PC. The ASCB Women in Cell Biology (WICB) Committee, with funding from Springer Nature, is accepting applications for grant support to help offset the cost of childcare, enabling scientists with dependent children to attend the 2017 ASCB/EMBO Meeting. To qualify for a WICB childcare grant, an applicant must be an ASCB member or have recently submitted an application for ASCB membership. Applicants are required to present a talk and/or poster at the meeting and will be notified of the disposition of their application by September 24. 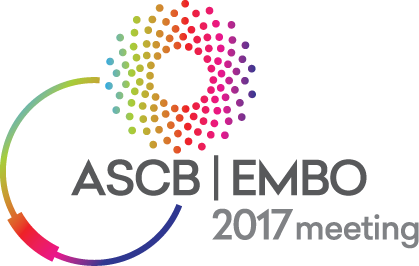 Grants will be in the form of reimbursement of qualified expenses up to the designated limit to be remitted at the ASCB/EMBO Meeting. Only one parent of a child or children may apply. You may apply for both a childcare grant and a travel award. Priority will be given to students and early-career scientists. Home-based childcare expenses incurred because of meeting attendance (funds may not be applied to normal ongoing expenses). Travel of a relative or other care provider to your home to care for your child(ren) while attending the ASCB/EMBO Meeting. Travel of your child(ren) to the location of a care provider who does not live in your community. Travel of a care provider to the ASCB/EMBO Meeting with you to care for your child(ren) in that city. Childcare to be retained onsite at the ASCB/EMBO Meeting.